Compatible with most of the company’s electronic calls, the FOXPRO Large Carrying Case keeps your gear organized and safe. The 12-pocket FOXPRO Large Carrying Case ($69.95) is specifically designed to carry the Shockwave electronic caller, but it’s compatible with all FOXPRO models except the Prairie Blaster and Krakatoa. The case features a remote pocket, caller pocket, ammo pockets, battery and charger pocket and carry strap. 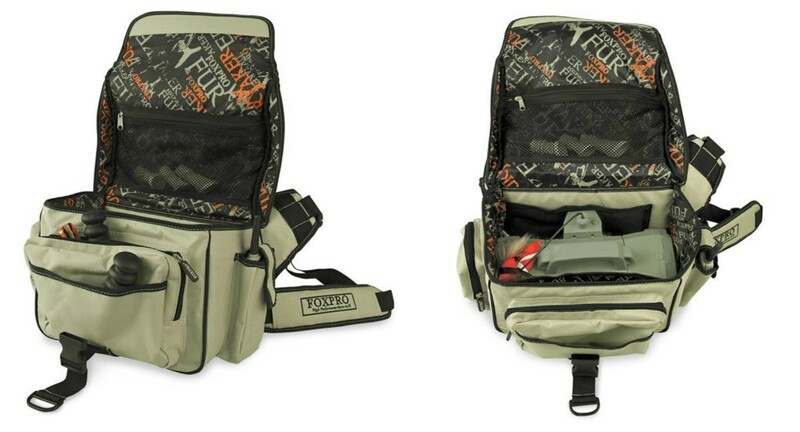 The FOXPRO Large Carrying Case has a dozen pockets and enables predator hunters to find their gear quickly in the field. The Large Carrying Case is offered in tan with black trim with rubber zipper pulls. The case is capable of holding a game call with a Foxjack decoy attached while keeping the rest of your gear secure and organized.